5 images. 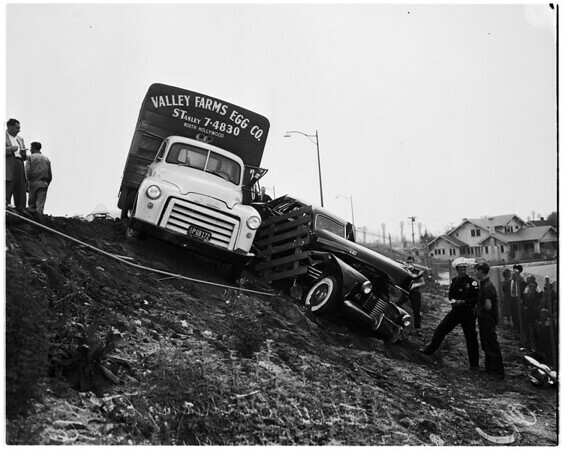 Auto versus truck ...Egg truck and cadillac over embankment, 9 April 1952. Francis Norte, truck driver. (Sleeve reads: A9539).